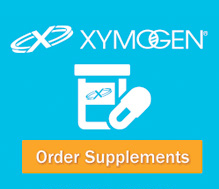 Dr. Goldstein now provides the opportunity for his patients to purchase their supplements through Xymogen. Xymogen is a family-owned health sciences company, who creates innovative dietary supplements in answer to individual feedback from their licensed healthcare practitioners and customers. A quarter century of experience has proven to them the value of their personal attention to every detail and customer, and this is one of the reasons for their success. * XYMOGEN provides products only to licensed healthcare practitioners and their authorized patients. Products sold through discount internet websites are strictly prohibited. These suppliers are not approved distributors of XYMOGEN formulas and, as such, XYMOGEN cannot guarantee the authenticity, potency or efficacy of products purchased through such sites. XYMOGEN formulas should be used under the guidance of a licensed healthcare practitioner and purchased only from a trusted source. If you have any questions or concerns, please contact XYMOGEN customer service at 1-800-647-6100.